Take an insider’s tour through the fast-arising Seaholm District—a six-block redevelopment project that repurposes a 1950s Art Deco power plant and industrial area into a vibrant 24-hour walkable neighborhood where people work, live, shop and play. 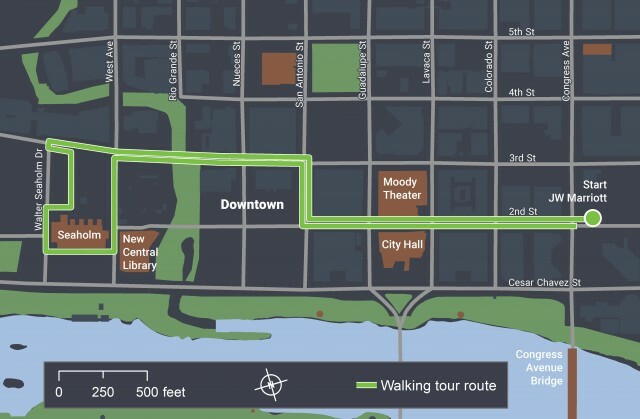 The emerging Downtown district extends the downtown street grid and includes a new Central Library for Austin, new residential towers, a grocery store, retail and restaurants, a hotel, and major employers such as Google and Athena Healthcare. 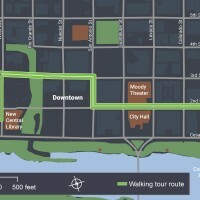 The tour will explain roles of public and private partners, and highlight transportation infrastructure such as a festival street in this still-emerging waterfront district. This tour will travel on foot. Participants are encouraged to wear comfortable shoes, wear comfortable business casual attire, and bring sunscreen. Refillable water bottles will be provided.